Call Us Today For An Appointment For Dermatology Acne Treatments. 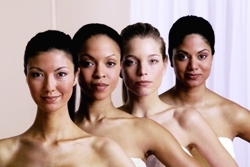 Klein Dermatology offers the best cosmetic dermatology treatment in Oregon with no exceptions. For more than 20 years we've been the areas premiere dermatology office promoting the importance of skin care while proving an affordable solution for the most common issues. We pride ourselves in providing an amazing personalized skin care service for all of our patients along with great customer service. From the second you walk in you will be greeted with a friendly, welcoming smile. You will feel very comfortable and right at home at Klein Dermatology. Call Us To Set Up An Appointment Now! Our primary goal is to make your skin feel and look beautiful, inside and out. We will do our very best to make sure that all of your concerns are not only addressed during each visit but also that we have a complete, safe, and effective solution every time. Our dermatologists use the industry's top state-of-the art medical equipment for the most accurate and safest skin treatment procedures. Call our office at (503) 388-4658 to schedule your next dermatology appointment with Klein Dermatology today! Call Now For A Brighter, Healthier Skin! Copyright © 2018 kda-dermlakeoswego.com All rights reserved.